When Ronald Reagan was diagnosed with Alzheimer’s disease, he announced his condition to the American people in a letter dated November 5, 1994, stating “I intend to live the remainder of the years God gives me on this earth doing the things I have always done.” He was able to. Other than a brief hospital stay in 2001 when he broke his hip, he was tended around the clock by caregivers in his home. His wife Nancy was able to continue making public appearances (the two of them championed are search foundation for Alzheimer’s). He loved chocolate, and continued to enjoy the good things in life as long as he was able until his death in 2004. Not everyone will be as lucky as Ronald Reagan was. Jacqueline lived in Ottawa all of her life and spent her last seven years in a personal care home. Her daughter was horrified. The staff at the personal care home worked hard but they were burnt out, and there were just too many residents and too few staff. Jacqueline spent time in a dirty diaper. Towards the end of her life, she had trouble eating. The staff did not have the time to help Jacqueline with her meals. She was prone to falling, and she was eventually in a wheelchair. When her mind began to fail, she was restrained in the wheelchair so she wouldn’t get up and try to walk on her own. Her daughter was able to make arrangements with an understanding employer allowing her to take two hours off in middle of the day to go and feed her mother in the personal care home. She visited Jacqueline twice each day. She stopped taking out of town vacations. There would be no one to feed mom and clean her up if the daughter went on a winter vacation somewhere warm. Jacqueline was blessed with a daughter who lived in the same city who was willing to roll up her sleeves and put her life on hold for a few years. Her daughter knew her mother’s likes and dislikes. Jacqueline hated hospital-cooked fish, and her daughter made sure she never, ever, had to eat it. Jacqueline’s name and some of the facts have been changed to protect her privacy. What will happen to you and me if we find ourselves in the same situation as Ronald Reagan or Jacqueline? You may have no children. If you do, they may live far away. If they live close at hand, can they put their lives on hold? Do you want them to? You can control your destiny with a little forethought and a little money. First, you will need a financial plan to guarantee your future care. Can you afford, like Ronald Reagan, to stay in your home and have private nurses and home-care workers come in? If that is too expensive, could you afford to have a private nurse or home care worker come into the personal care home each day for eight hours? Four hours? Two? Some people are willing to deplete their wealth and leave a smaller estate to guarantee their own comfort and care. Others want the extra help, but not to the extent that it robs the next generation. Second, you may need a very special and customized power of attorney or other legal instrument to make sure that your wishes are implemented on a mandatory basis. Third, if you want the job really done right, you need to take the time to assemble personal information for your future caregivers. If you, like Jacqueline, get squeamish at the sight of the salmon they serve in health care institutions, your caregivers need to know that. 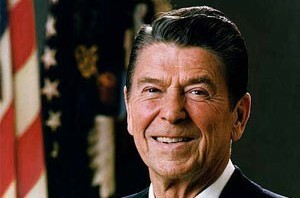 If you, like Ronald Reagan, love chocolate, your caregivers need to know that. If you love NFL football, and like the idea that you would be parked in front of a TV every Monday night to watch it, your caregivers need to know that. All of this should be written out. A family conference might be a good idea to discuss your plans after they are perfected. Part of this is guaranteeing yourself that you will get all the care you need. Part of this is protecting your family from the burden of trying to do it themselves. least one consultant in Calgary who specializes in helping families work through and develop coordinated care plans. Next week’s column: Choose your executor carefully.